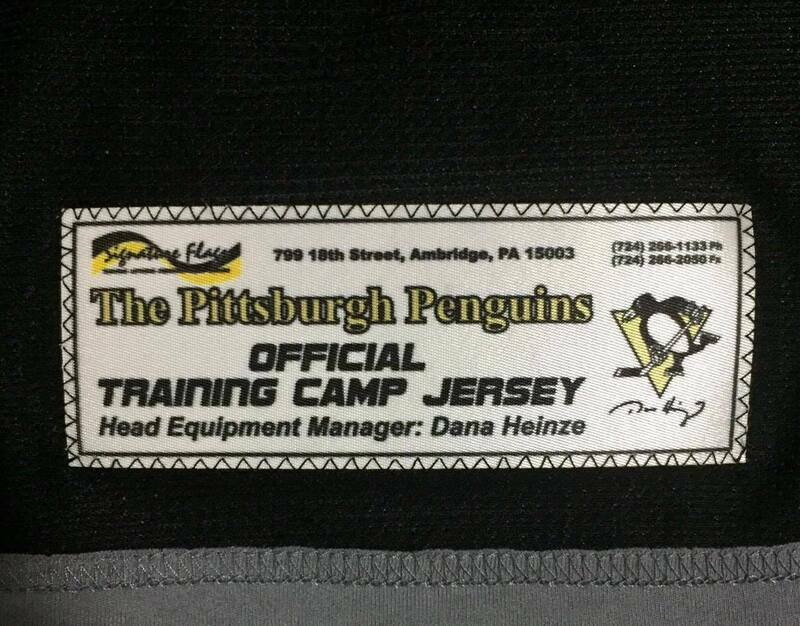 This jersey was issued by the Pittsburgh Penguins for use during the 2012-13 season. 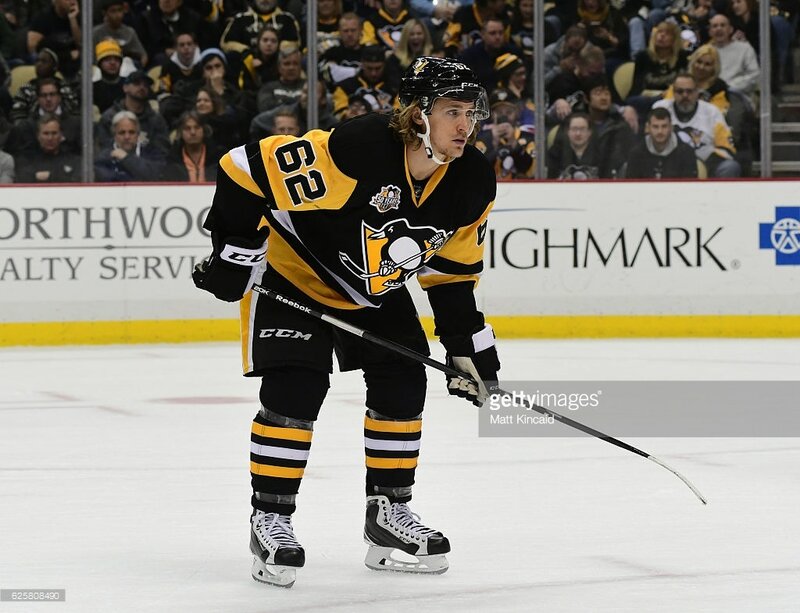 The alternate blue style was used during pre-game skates on nights where the Pens would wear their alternate 3rd jerseys. This jersey is a size 54. 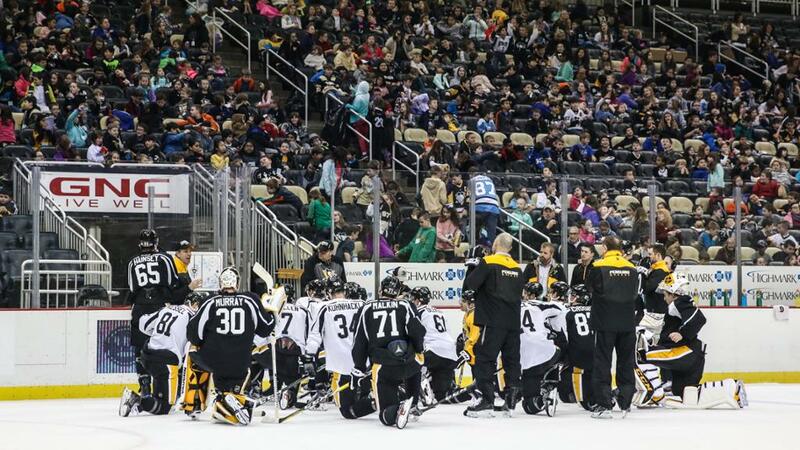 On February 28th the Penguins took to the ice at Soldier Field for their outdoor practice, preparing for the final game of the 2014 Stadium Series game against the Chicago Blackhawks. 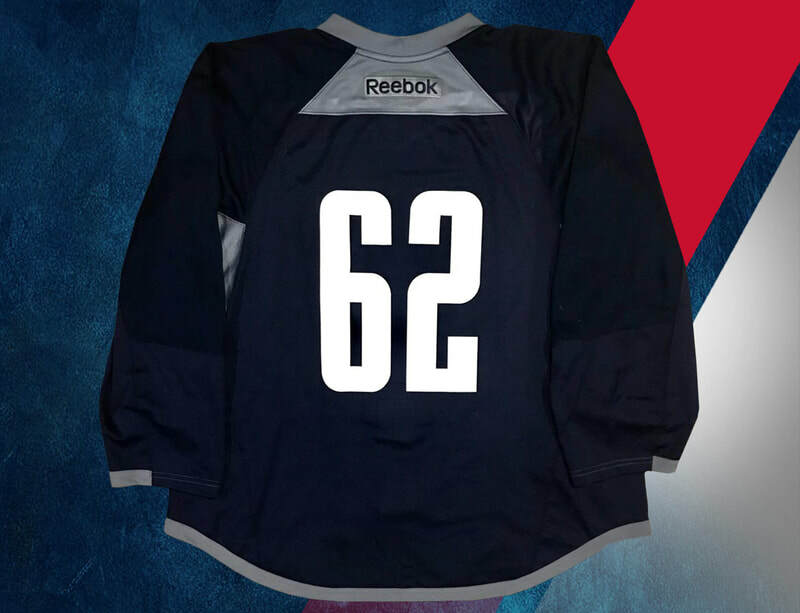 Gibbons wore this jersey as he prepared for his 1st professional outdoor game. 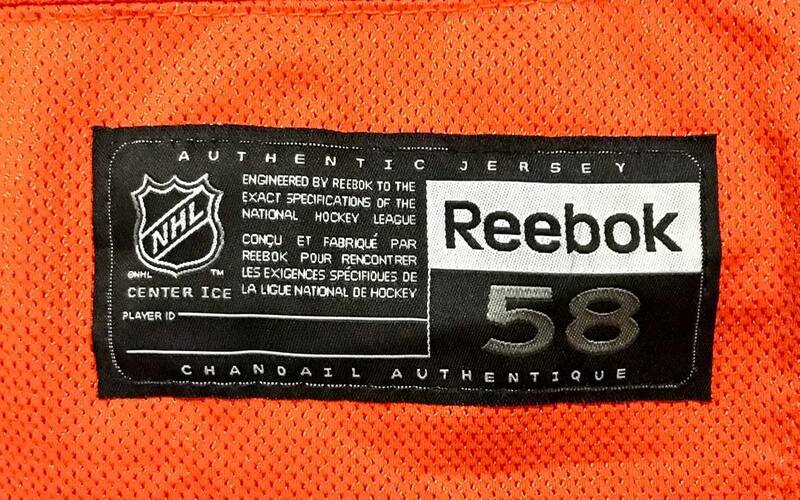 This jersey was team issued and prepared for use during the 2014-15 season. 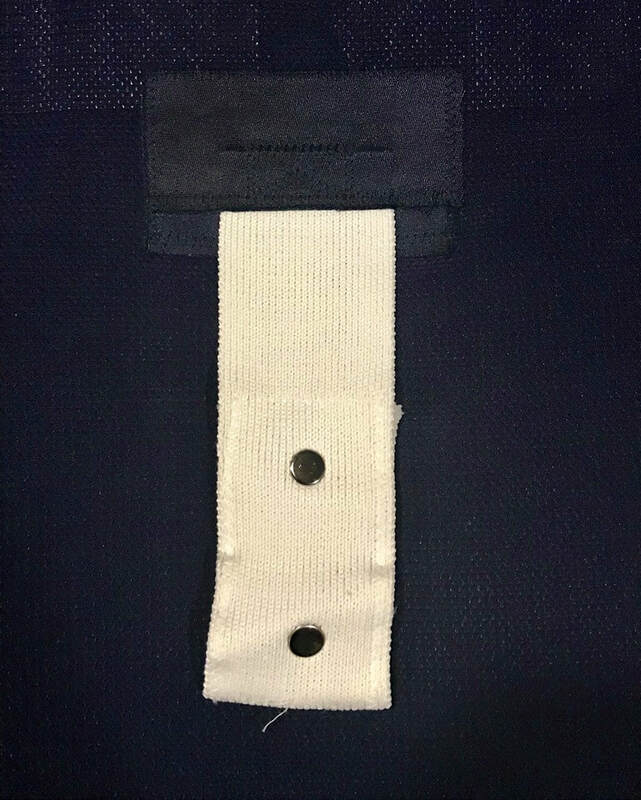 The UPMC patch is sewn to the upper right shoulder area of the jersey. 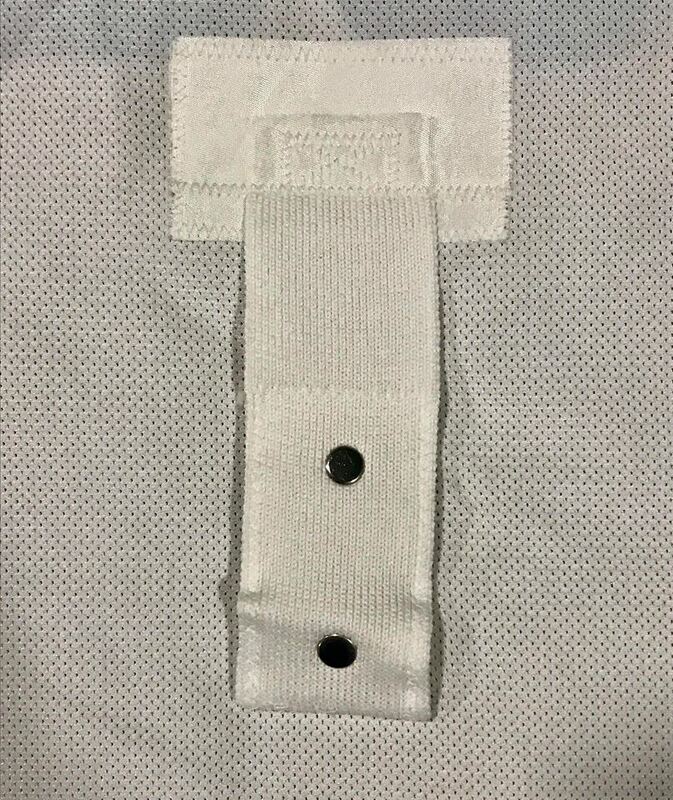 This white size 54 jersey was not worn. 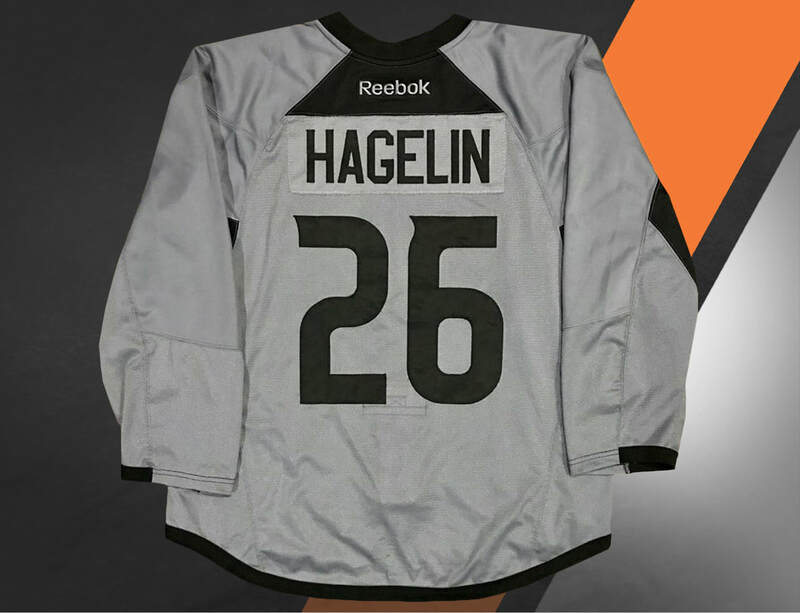 This black size 56 jersey was worn by Carl Hagelin during the Penguins 2015-16 training camp. The jersey was also used for practices that were open to the general public. 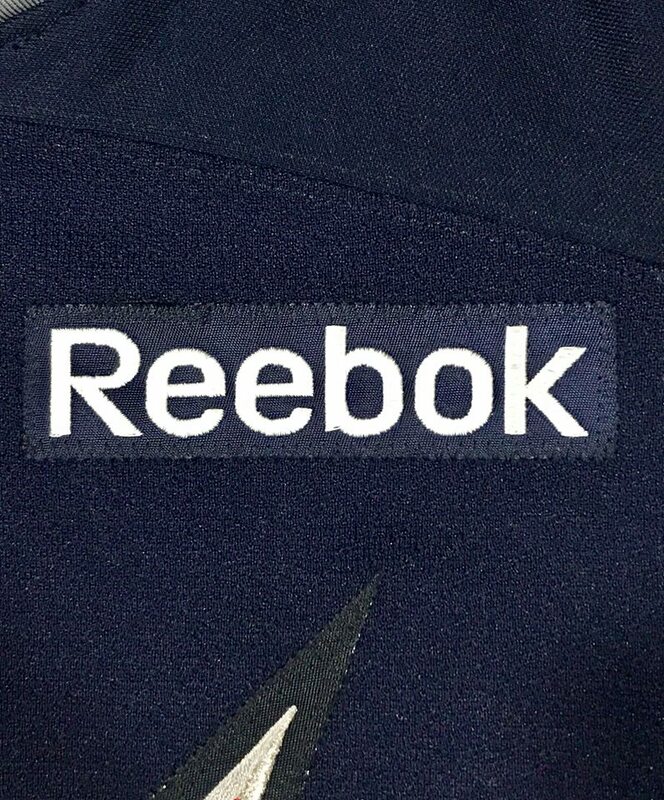 ​This Black Reebok practice jersey was used by an unknown member of the Pittsburgh Penguins. These jerseys were worn from 2011 through 2016. The jersey is a size 54. 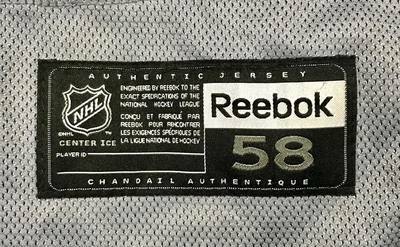 This Gray Reebok practice jersey was used by an unknown member of the Pittsburgh Penguins. These jerseys were worn from 2011 through 2016. The jersey is a size 56. 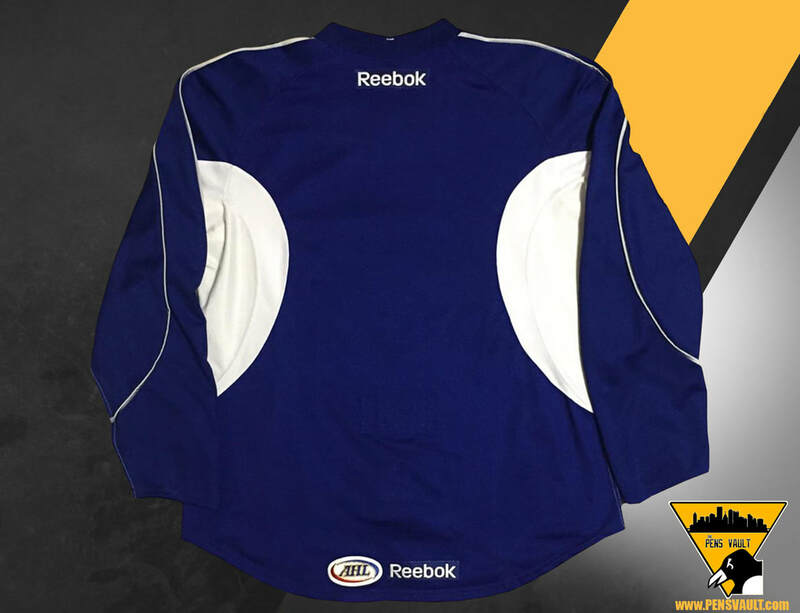 ​This Gold Reebok practice jersey was used by an unknown member of the Pittsburgh Penguins. These jerseys were worn from 2011 through 2016. 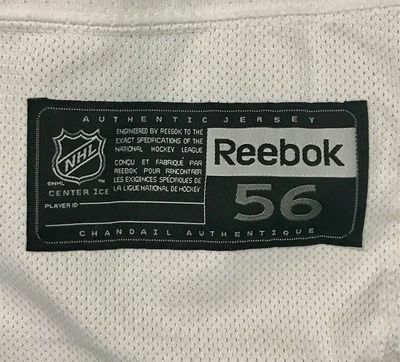 The jersey is a size 56. 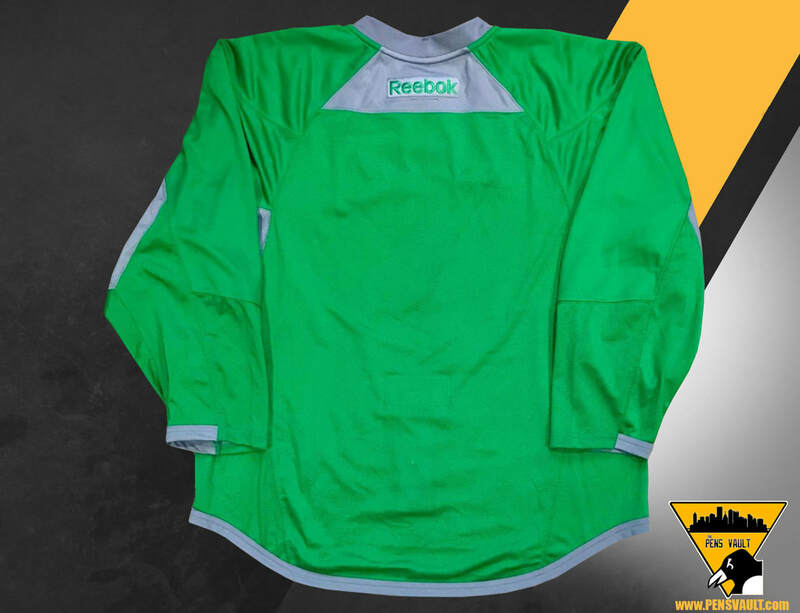 ​This Green Reebok practice jersey was used by an unknown member of the Pittsburgh Penguins. These jerseys were worn from 2011 through 2016. The jersey is a size 54. 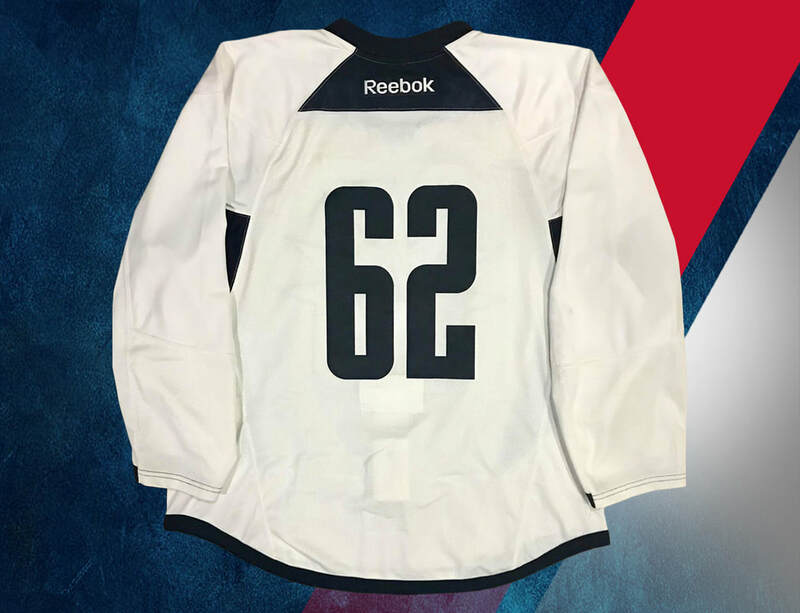 ​ This black reebok practice jersey was worn by Penguins' forward Carl Hagelin during the 2016-17 training camp. The jersey is a retail size XL. The UPMC sponsor patch is affixed to the upper left chest area. The team set tag is sewn into the rear hem. 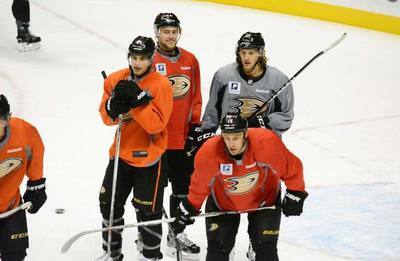 These jerseys do not have a fight strap attached. 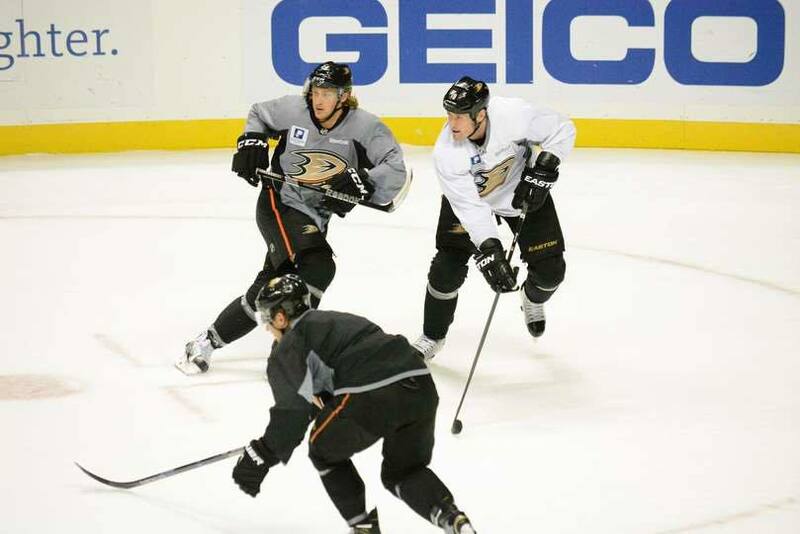 These jerseys were also worn for practice sessions that were open to the public. ​ Carl Hagelin wore this black practice jersey on February 24 2017 at Heinz Field in preparation for the Stadium Series game Vs Philadelphia. 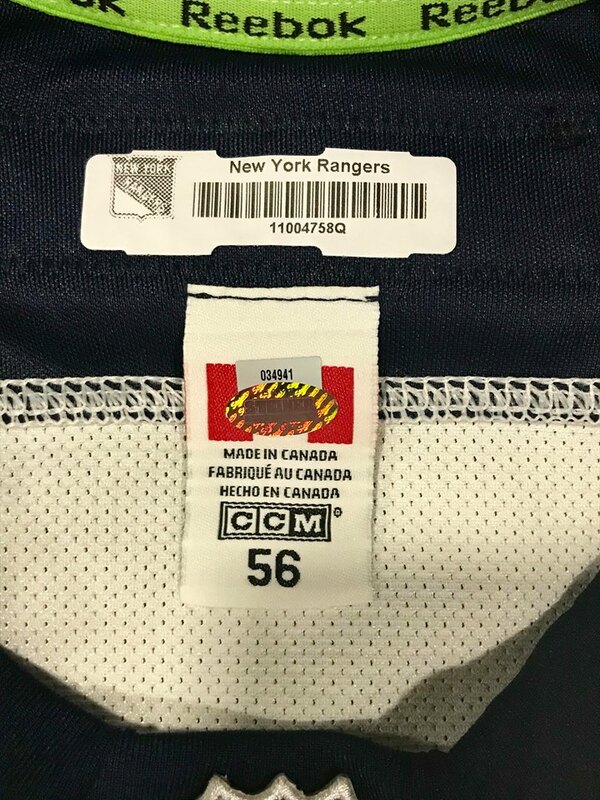 The jersey is a size 56. 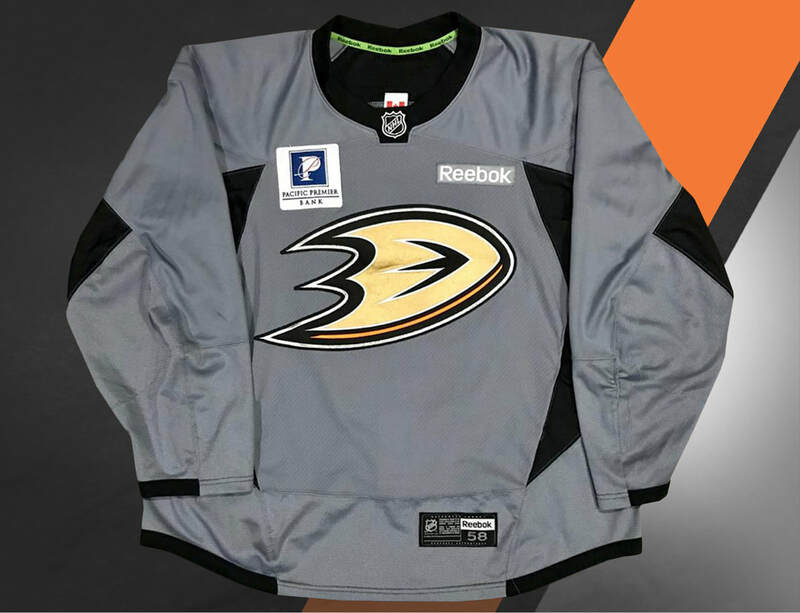 It features the 2017 Stadium Series patch on the shoulder. 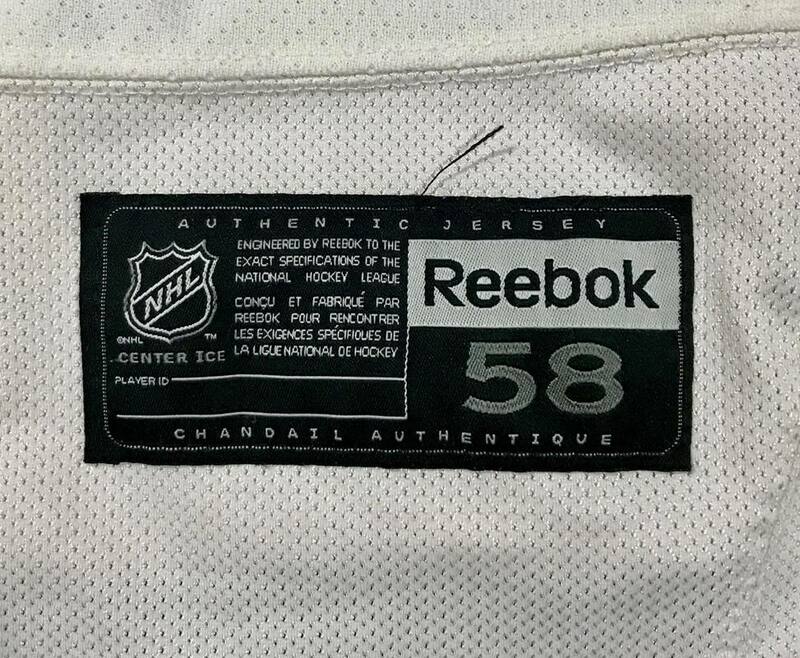 There are two set tags sewn into the rear of the jersey. This jersey was also worn by forward Nick Bonino as he and Hagelin swapped jerseys for line rushes. ​​This White Reebok practice jersey was used by an unknown member of the Pittsburgh Penguins during the 2016-17 season. The jersey features the UPMC sponsor patch and has a fight strap sewn inside the jersey. The jersey is a size 56. 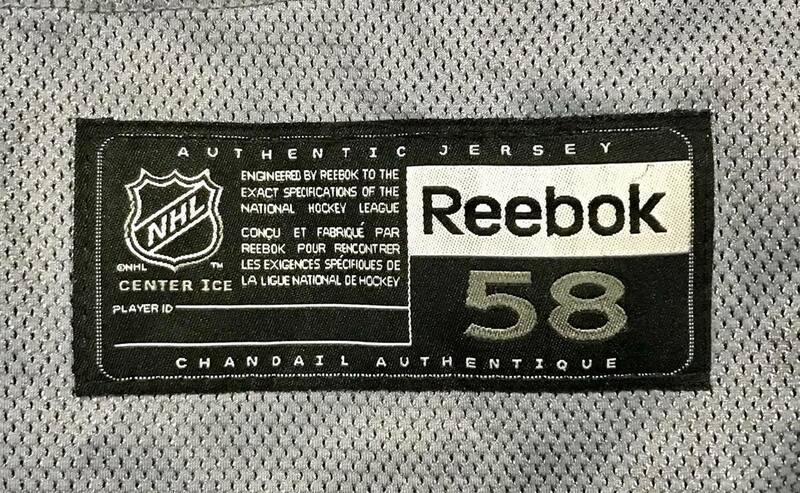 ​​This Gray Reebok practice jersey was used by an unknown member of the Pittsburgh Penguins during the 2016-17 season. 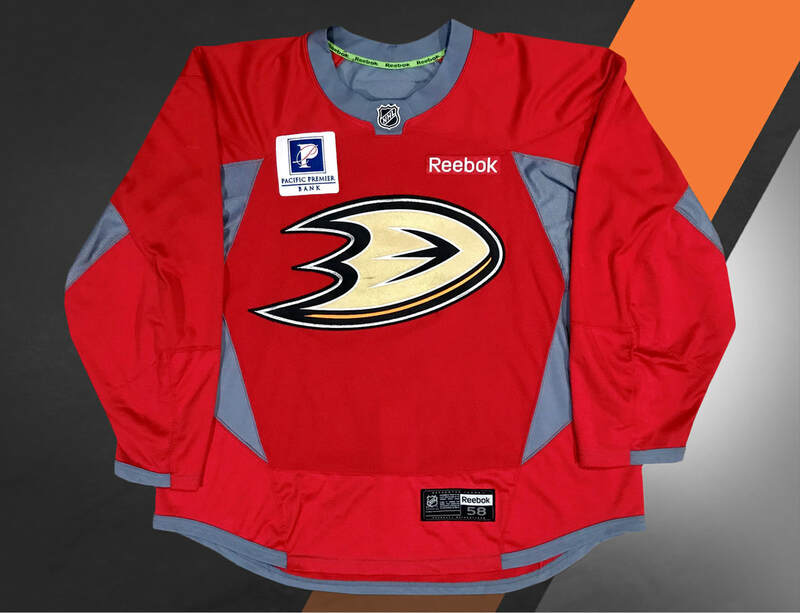 The jersey features the UPMC sponsor patch and has a fight strap sewn inside the jersey. 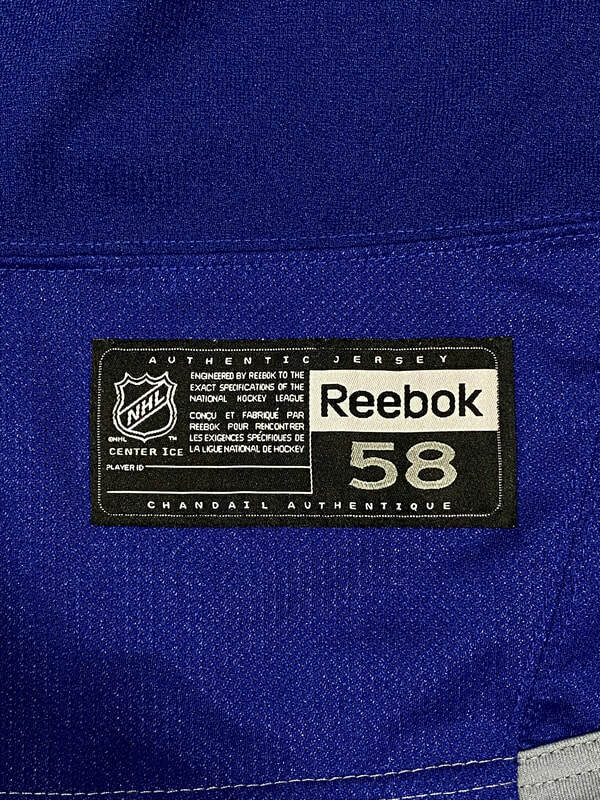 The jersey is a size 56. ​​​This Green Reebok practice jersey was used by an unknown member of the Pittsburgh Penguins during the 2016-17 season. 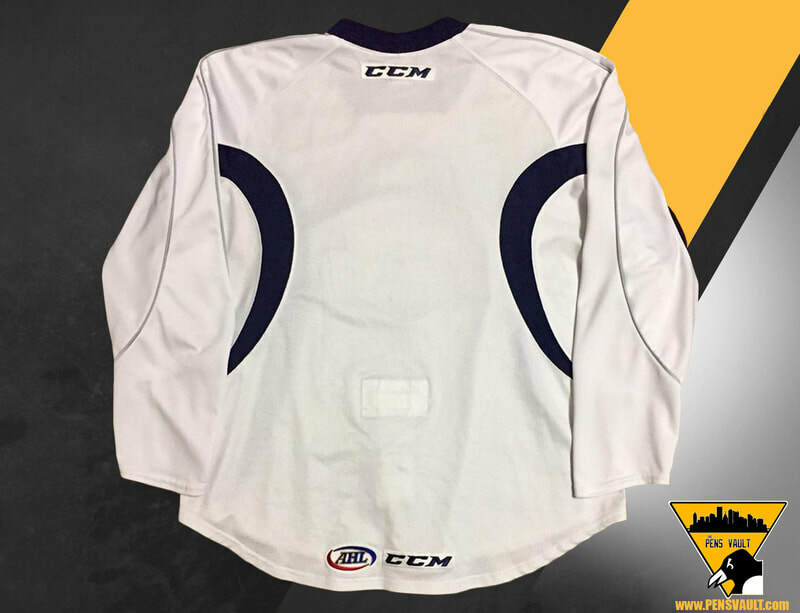 The jersey features the UPMC sponsor patch and has a fight strap sewn inside the jersey. The jersey is a size 56. 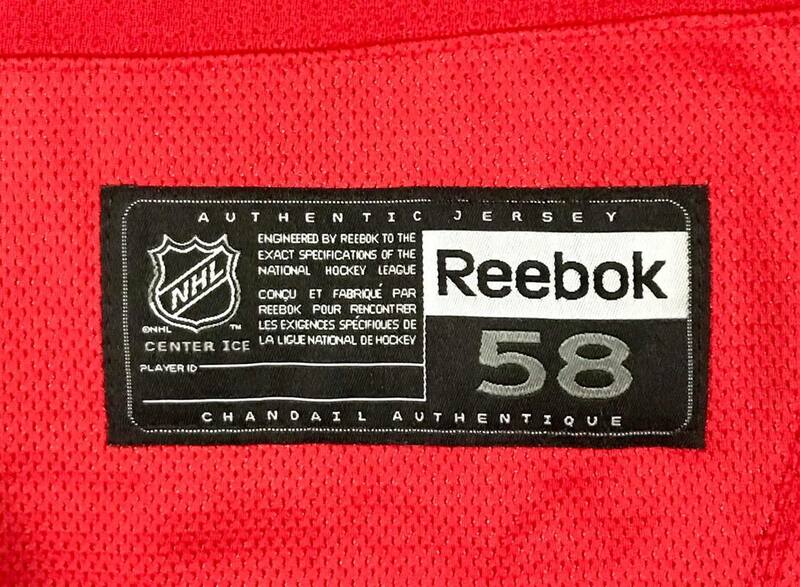 ​​​​​This Red Reebok practice jersey was used by an unknown member of the Pittsburgh Penguins during the 2016-17 season. 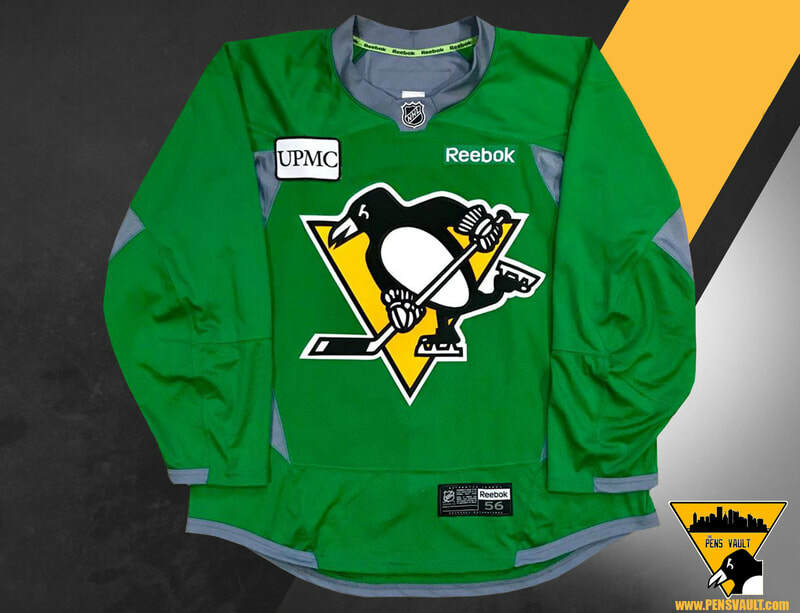 The jersey features the UPMC sponsor patch and has a fight strap sewn inside the jersey. The jersey is a size 56. ​​​​​This gold Adidas practice jersey was issued to the Pittsburgh Penguins for use during the 2017-18 season. This is the first year of the Adidas Adizero jerseys. 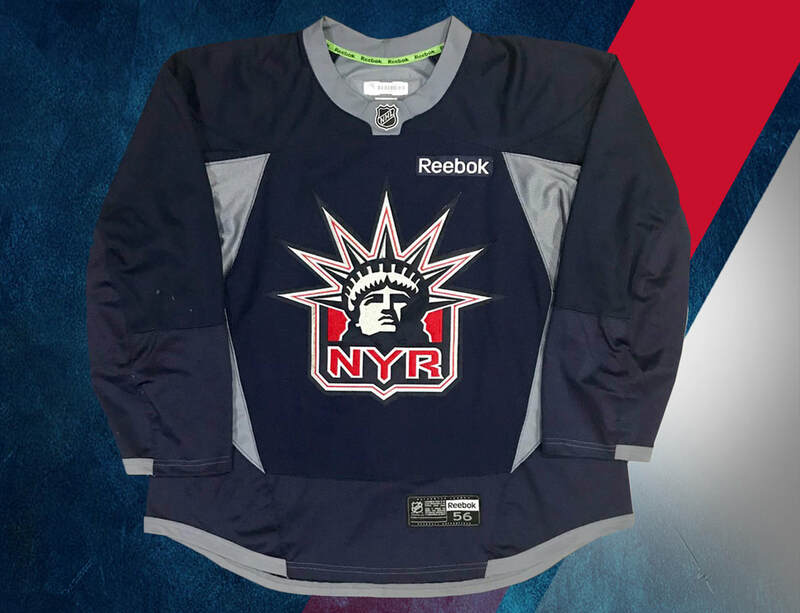 The jersey has a heat pressed logo and has a fight strap affixed to the rear. 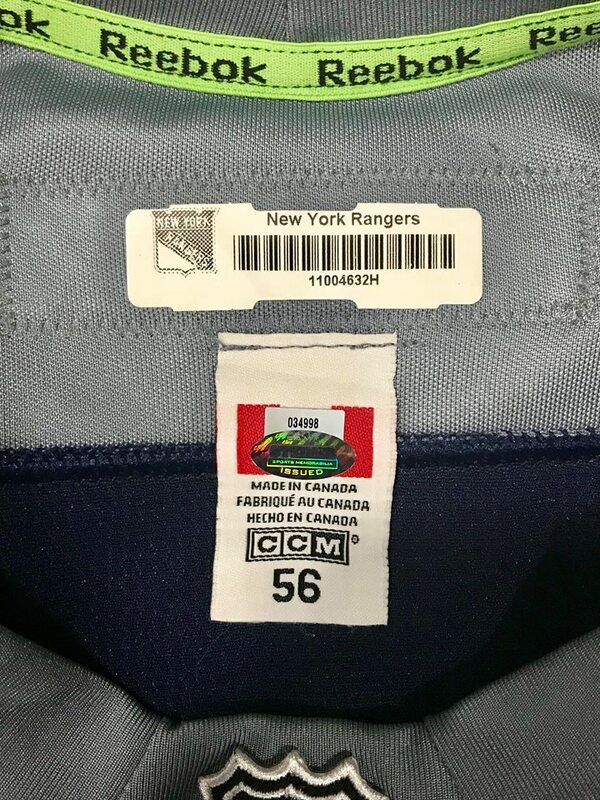 The jersey is a size 56. Carl Hagelin wore this royal blue practice jersey during the Anaheim Ducks 2015 training camp. 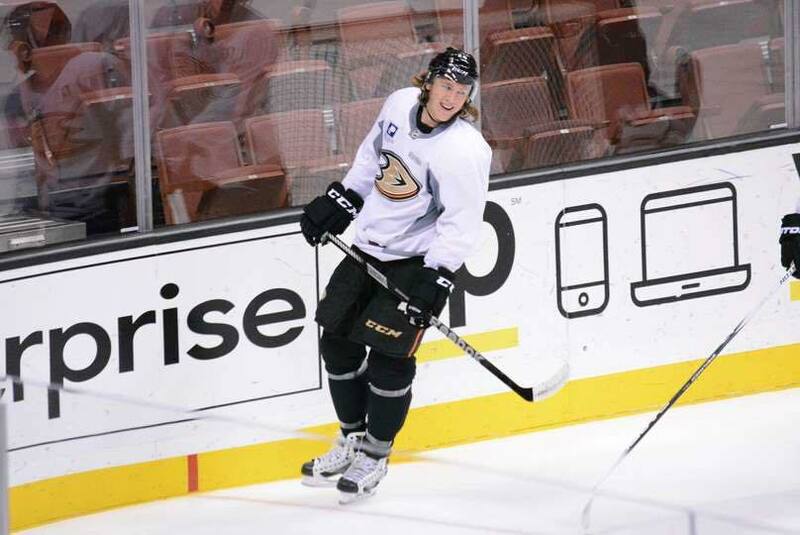 The jersey was also worn for select practices which were open to the public. The jersey is a reebok Edge 3.0 size 58. 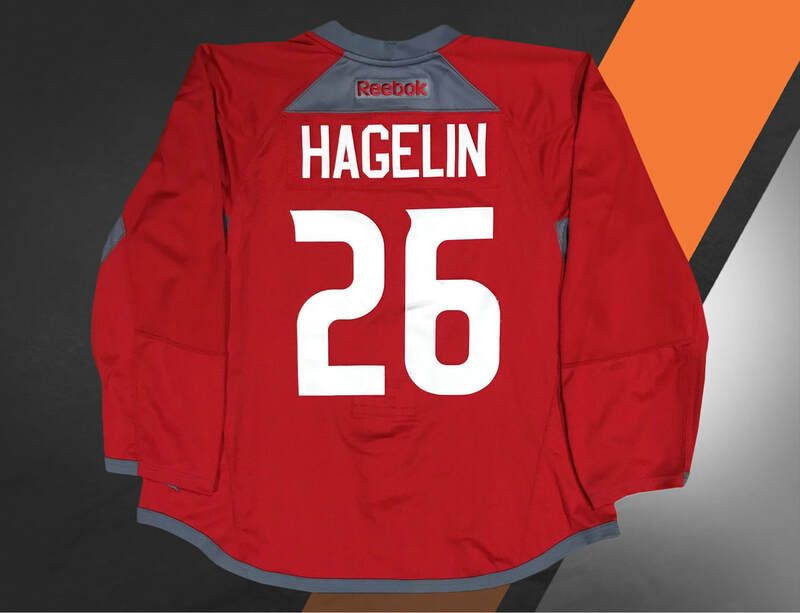 Hagelin's name and number are sewn to the back of the jersey. The Pacific Premier Bank sponsor patch is sewn to the upper chest area. 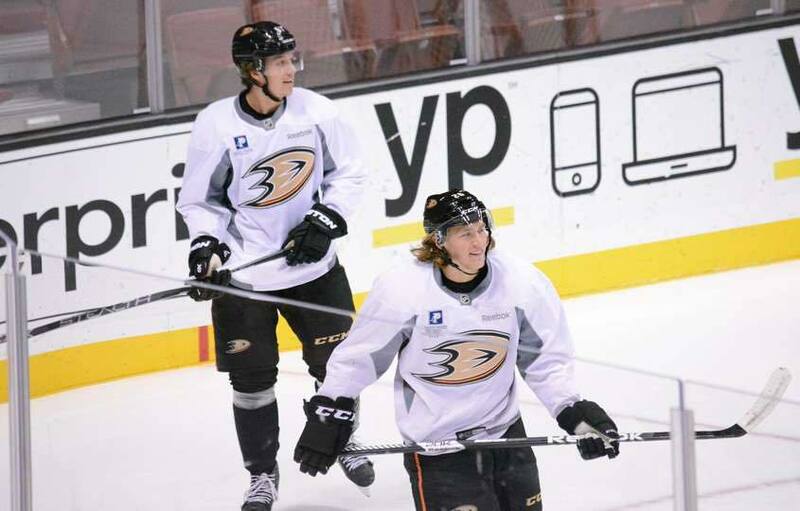 Carl Hagelin wore this white practice jersey during the Anaheim Ducks 2015 training camp. The jersey was also worn for select practices which were open to the public. 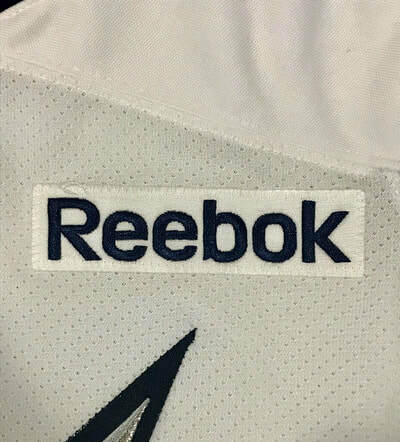 The jersey is a reebok Edge 3.0 size 58. 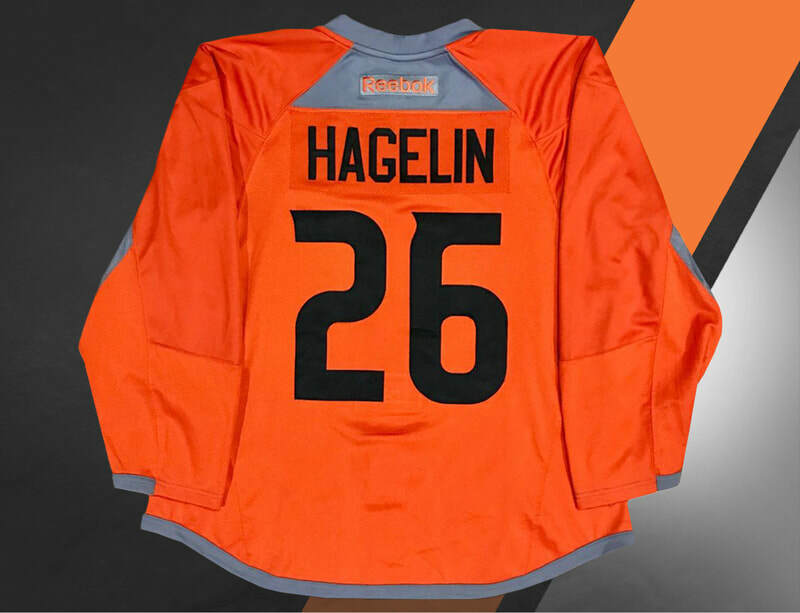 Hagelin's name and number are sewn to the back of the jersey. 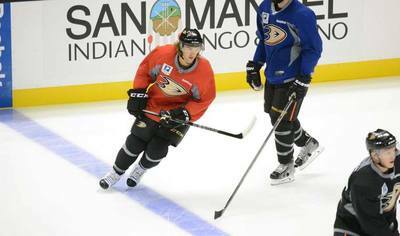 The Pacific Premier Bank sponsor patch is sewn to the upper chest area. 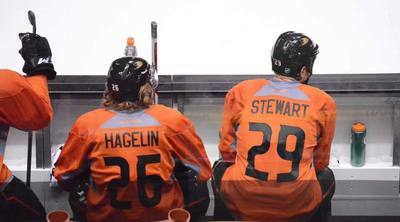 ​ Carl Hagelin wore this orange practice jersey during the Anaheim Ducks 2015 training camp. 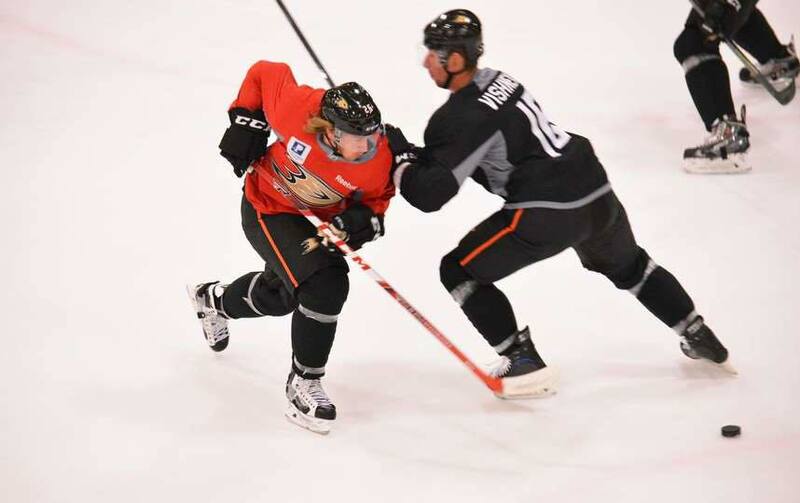 The jersey was also worn for select practices which were open to the public. 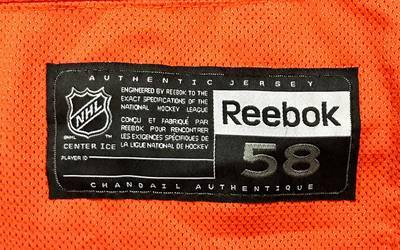 The jersey is a reebok Edge 3.0 size 58. 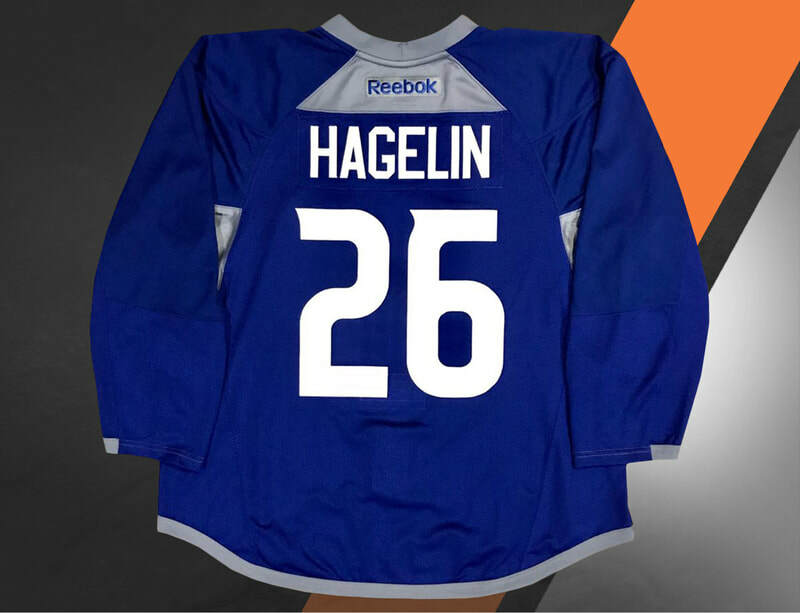 Hagelin's name and number are sewn to the back of the jersey. 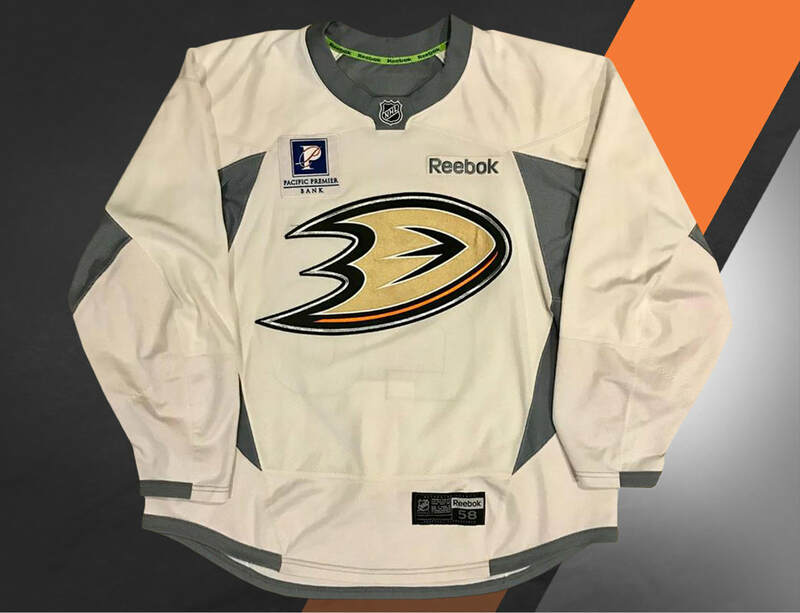 The Pacific Premier Bank sponsor patch is sewn to the upper chest area. 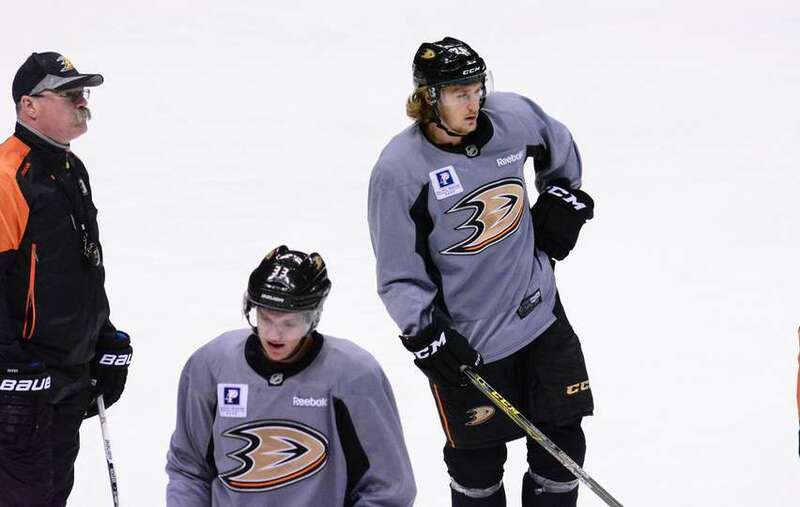 ​ Carl Hagelin wore this gray practice jersey during the Anaheim Ducks 2015 training camp. The jersey was also worn for select practices which were open to the public. The jersey is a reebok Edge 3.0 size 58. 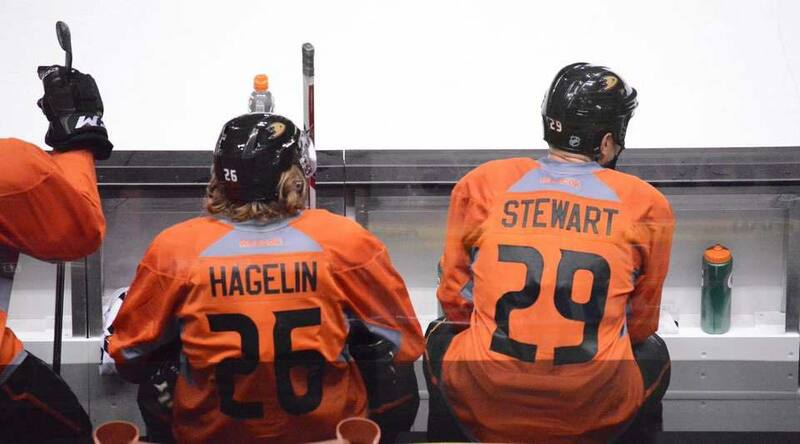 Hagelin's name and number are sewn to the back of the jersey. 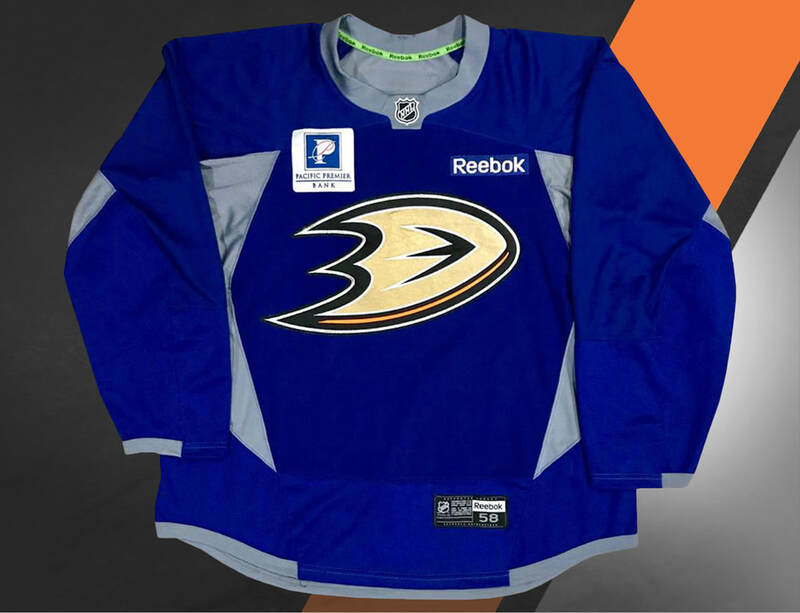 The Pacific Premier Bank sponsor patch is sewn to the upper chest area. 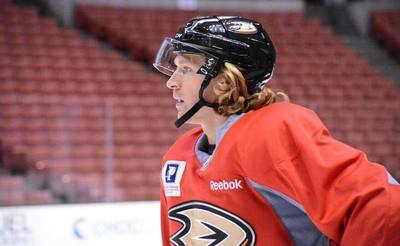 ​ Carl Hagelin wore this red practice jersey during the Anaheim Ducks 2015 training camp. 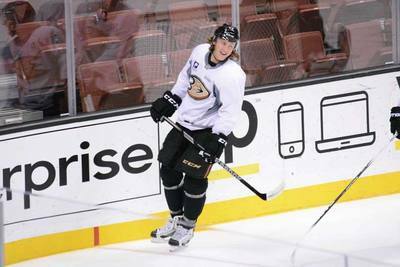 The jersey was also worn for select practices which were open to the public. 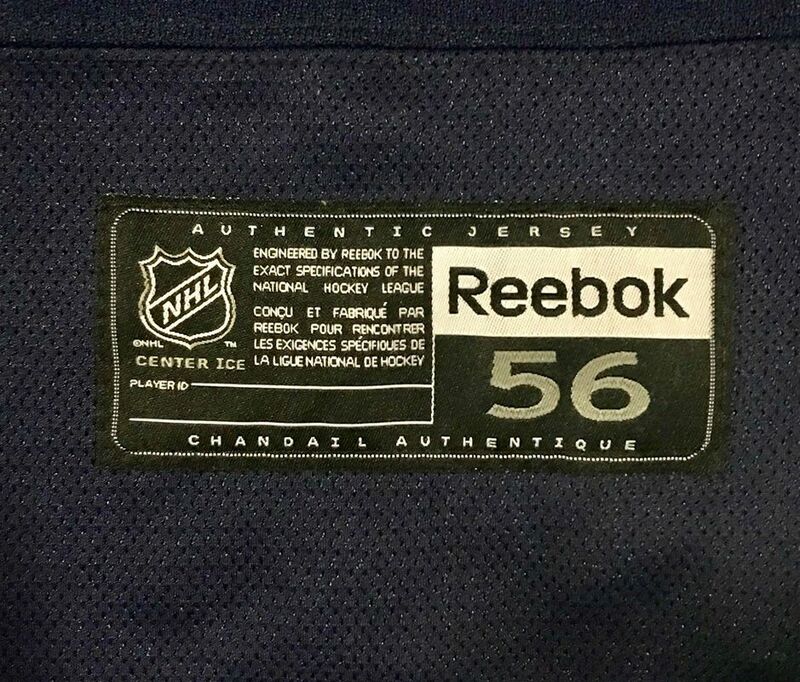 The jersey is a reebok Edge 3.0 size 58. 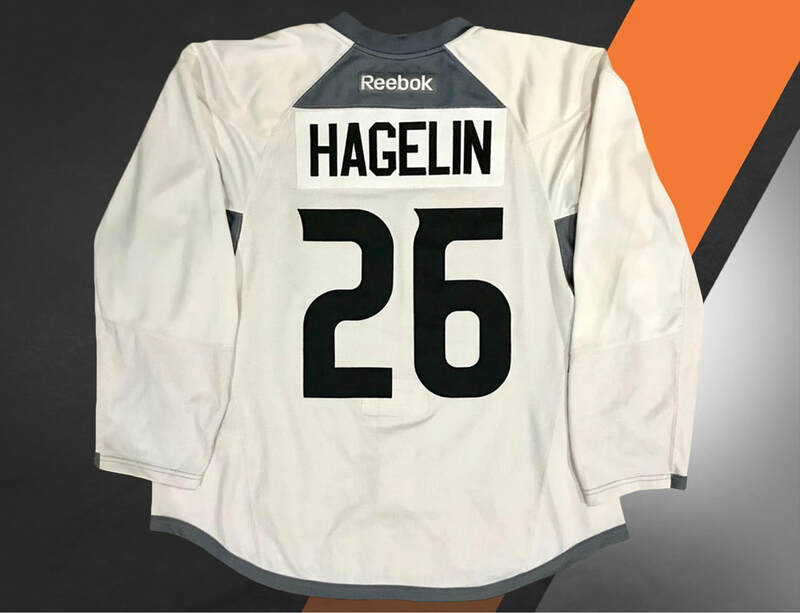 Hagelin's name and number are sewn to the back of the jersey. 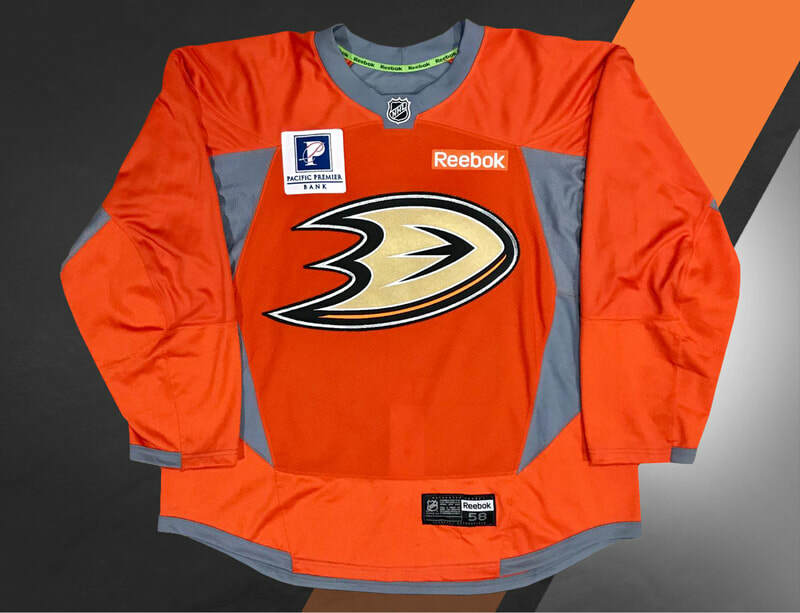 The Pacific Premier Bank sponsor patch is sewn to the upper chest area. 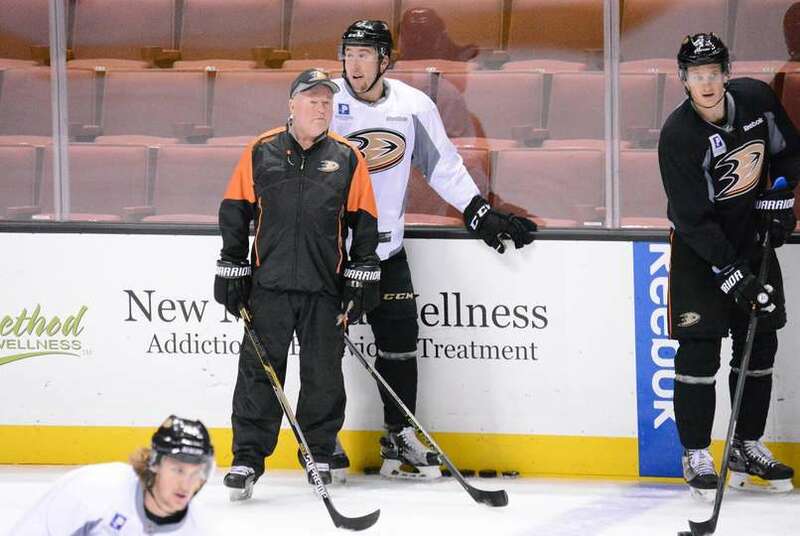 On November 1, 2015 the Anaheim Ducks wore special Hockey Fights Cancer warmup jerseys to promote cancer awareness. 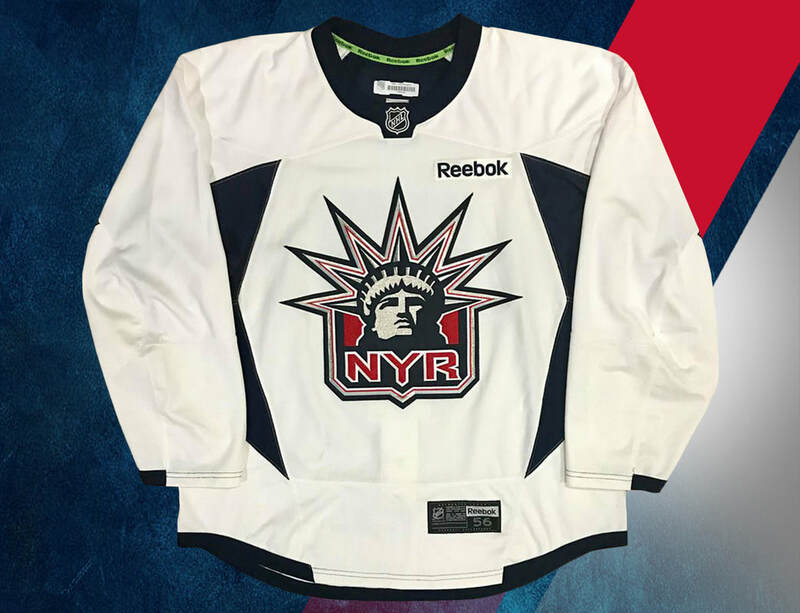 These special warmup jerseys were worn during pre-game warmups vs the Nashville Predators. The jerseys were signed by the players and auctioned off. All proceeds from the auction benefitted The Pancreatic Cancer Action Network. The jersey is a size 58. 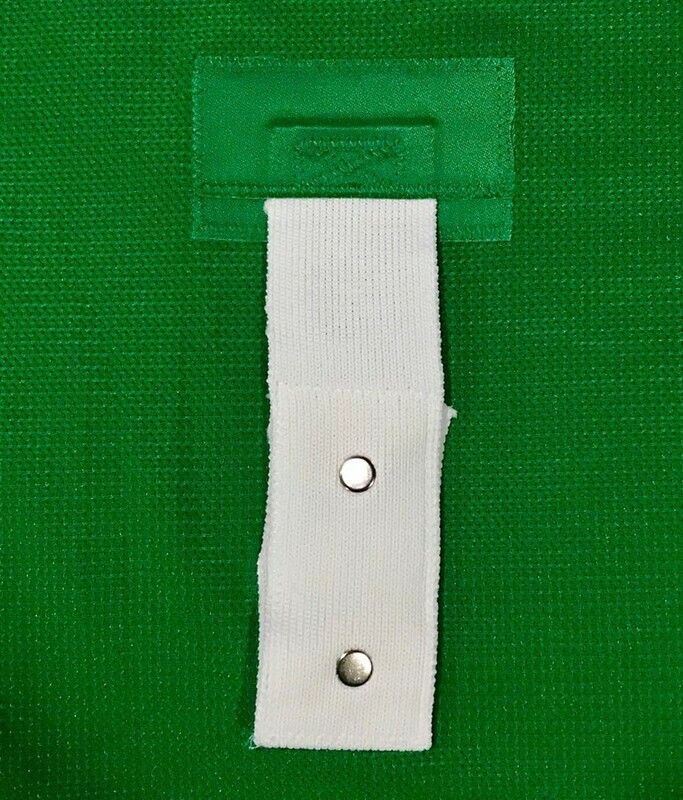 The Ducks team tagging is sewn inside the rear hem of the jersey. A serial numbered Ducks Holographic sticker is affixed to the size tag in the collar. 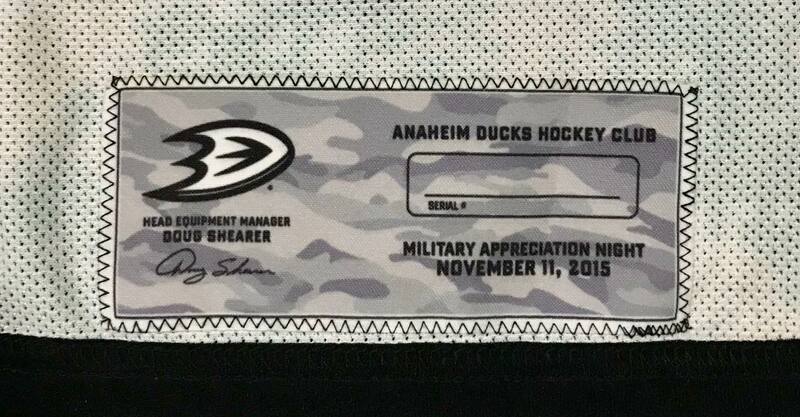 The Anaheim Ducks celebrated their annual Military Appreciation Night on November 11, 2015. 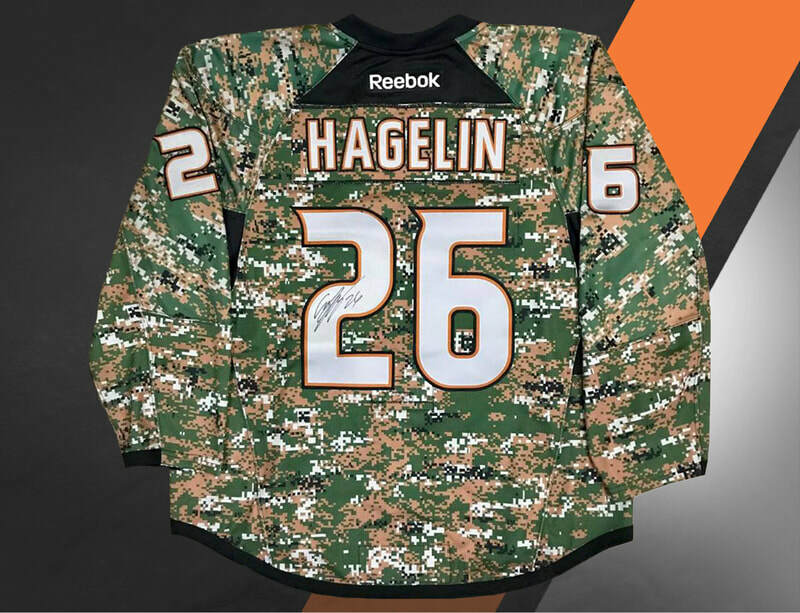 Carl Hagelin wore this camouflage warm up jersey for the Ducks' pre-game skate. 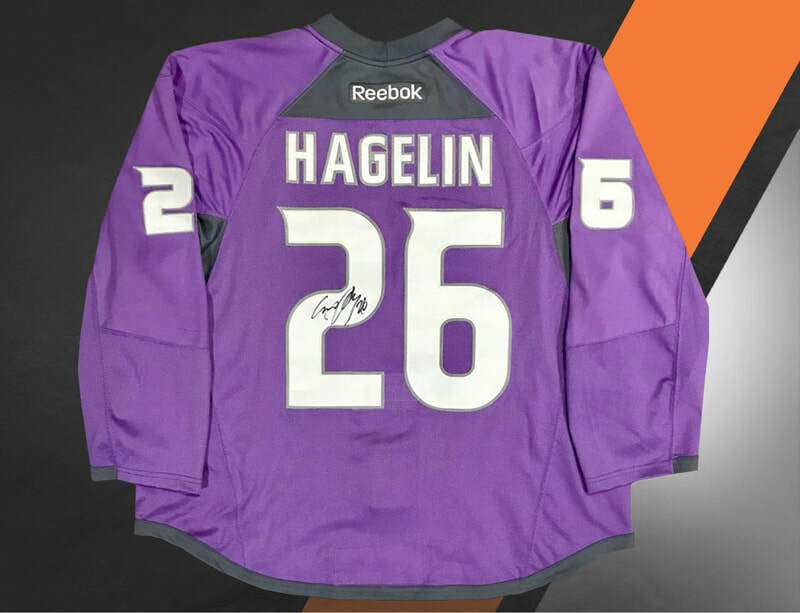 The jersey was signed by Hagelin after use. 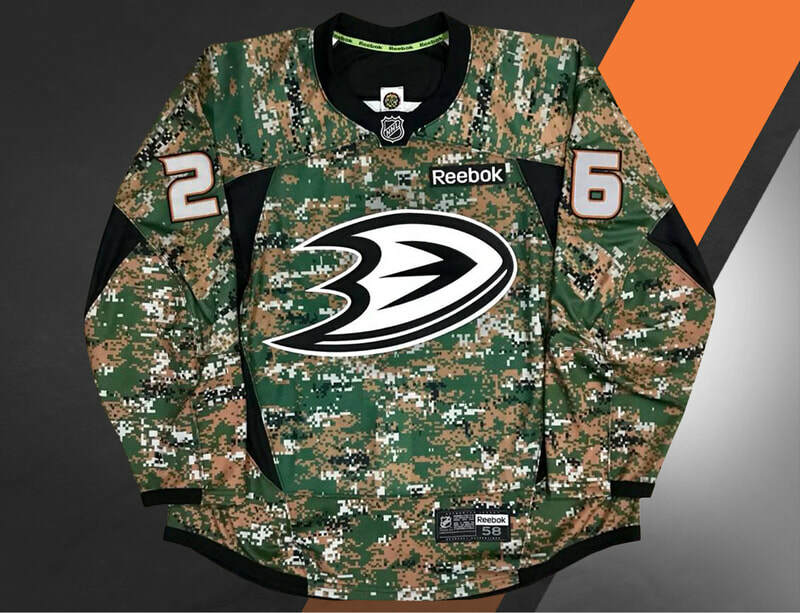 These jersey were auctioned off by the Ducks with all proceeds going to Defending the Blue Line and Veterans First. The jersey is size 58. 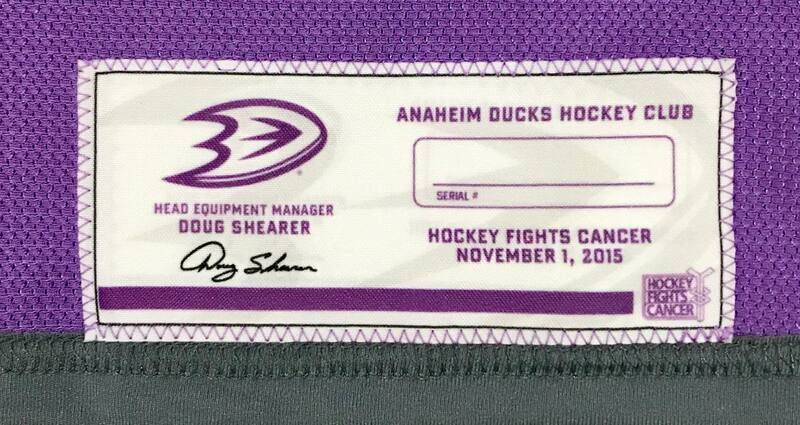 The Ducks' team tagging is inside the rear hem of the jersey. A Ducks serial numbered hologram sticker is affixed to the size tag in the collar. 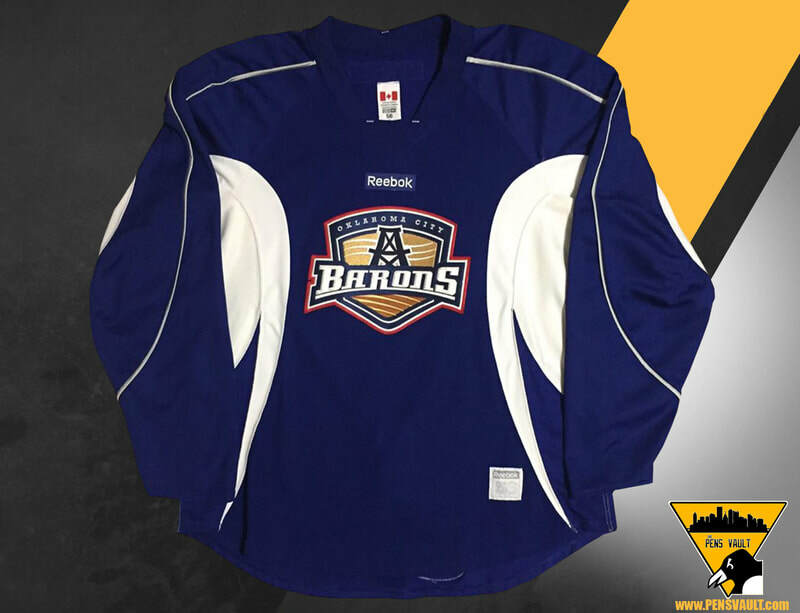 This royal blue size 56 Oklahoma City Barons practice jersey was obtained at the Cox Convention Center. 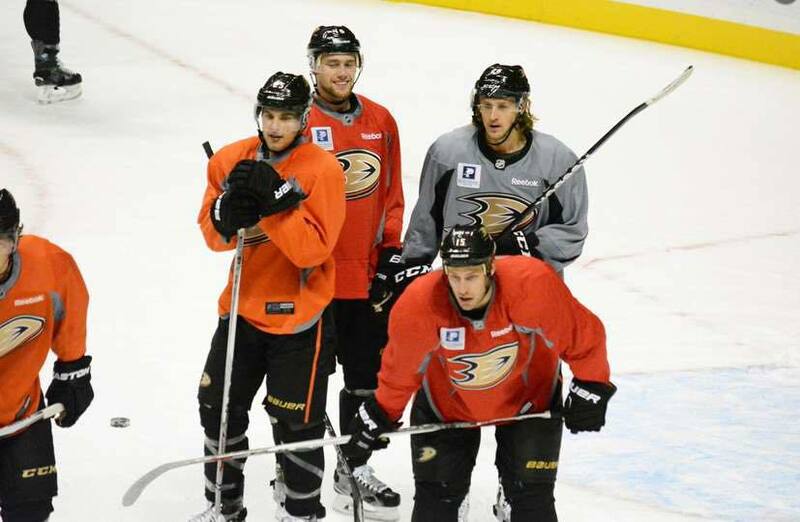 It was used by an unspecified player during the 2014-15 season. The jersey shows light wear and has a few team repairs. 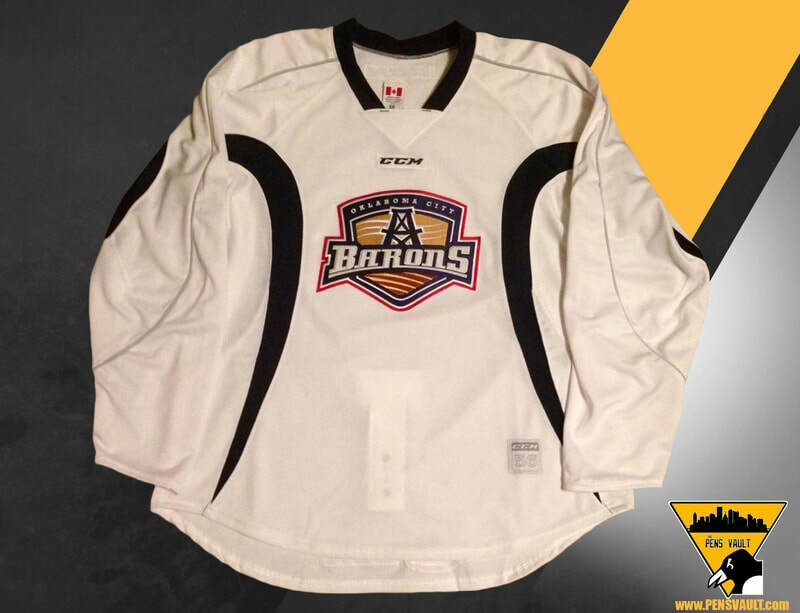 This white size 56 Oklahoma City Barons practice jersey was obtained at the Cox Convention Center. 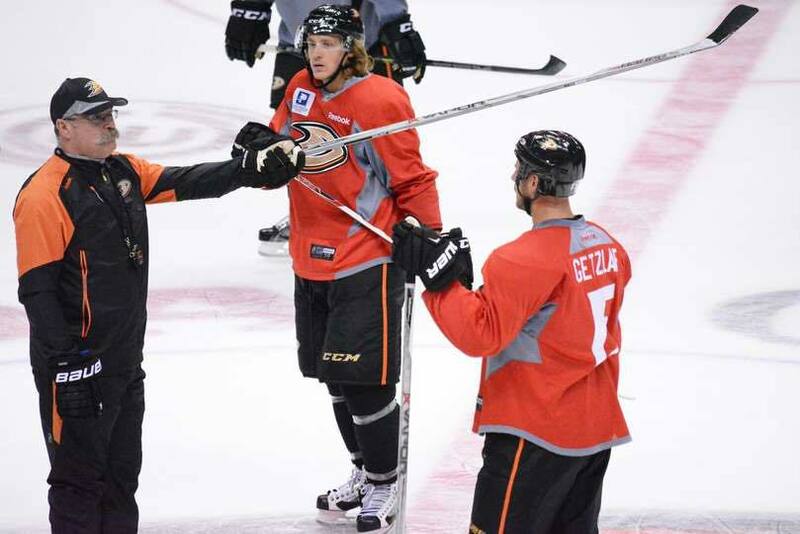 It was used by an unspecified player during the 2014-15 season. The jersey exhibits light wear. 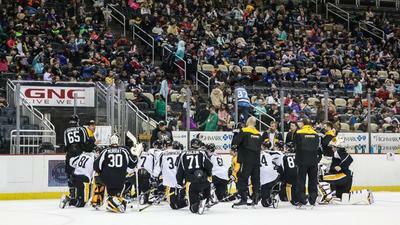 The Pens Vault is not affiliated with the Pittsburgh Penguins, the NHL, or any of it's partners. The Pens Vault is a private collection with the intent to share photos and information about game worn and game used items. Any and all photographs of the items owned by The Pens Vault may not be used without prior consent.